Love is in the air, and so is the desire to shop! The National Retail Federation says consumers will spend near-record £650 million on Valentine’s Day. 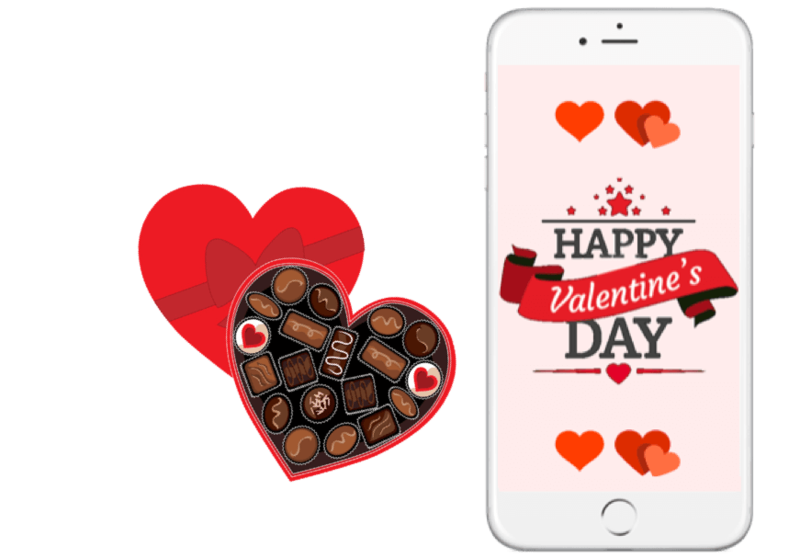 Find below how to use ODICCI for your Valentine’s Day marketing campaigns. Create a Valentine’s Day wheel of fortune for your customers. Generate more leads, expand your email list and drive more traffic to your site with our interactive experiences. Choose as many prizes as you want and individualise your wheel with your colour scheme. Upload your own background and logo. In addition, you can insert individual texts. In just a few clicks, the wheel of fortune is ready to use and will guarantee fun and engagement for your customers! With our tap to reveal experience, you can implement any seasonal campaign that you have in mind. To make our experiences even more interactive, you can upload GIFS in addition to PNG and JPEG picture formats. Especially, the tap to reveal is the perfect module to insert GIFS to create special experiences for your customers throughout the whole year. Make the heart beat for Valentine’s Day! The Peel to reveal module is perfect to present seasonal promotions to your customers. Upload a beautiful cover image and the seasonal promotion behind it as the prize image. You can also link voucher codes with each prize image. This code can be copied and linked with your e-commerce website. By using our interactive platform, you can make the magic happen. In just four steps your campaign is ready to use. Use our creative studio to bring your interactive experiences to life. Choose a colour scheme and interact with your customers. Upload your logo and a background to make the finishing touches. In this section, you can create your own form to collect data from your customers. You can create text fields, drop-downs, date fields and many more. Also, we have a captcha integrated to prevent spam. Configure prizes and gifts with discounts as well as vouchers with your e-commerce website. Upload prize images for your experience and link it to an individual email campaign and notify winners. You can integrate ODICCI into your website, social media or e-commerce environment. What is more, you can automatically transfer captured data into your CRM or marketing platform.